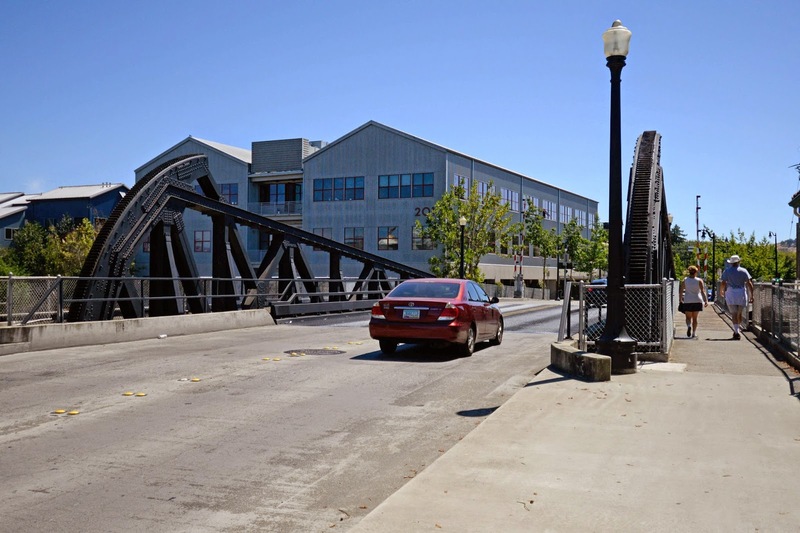 Sonoma County seems to have a lot of rolling lift bridges including today's D Street Bridge (20C0048) in the City of Petaluma. This bridge was built in 1933 and rehabilitated twice, with the last repair done in 2009. It's 200 ft long with an 80 ft long movable span. I imagine the counterweight and the tracks must be under the deck. Sonoma County, California Bridges: D Street Bridge across the Petaluma River by Mark Yashinsky is licensed under a Creative Commons Attribution-NonCommercial-NoDerivatives 4.0 International License.